Individuals and local businesses are invited to support community event. 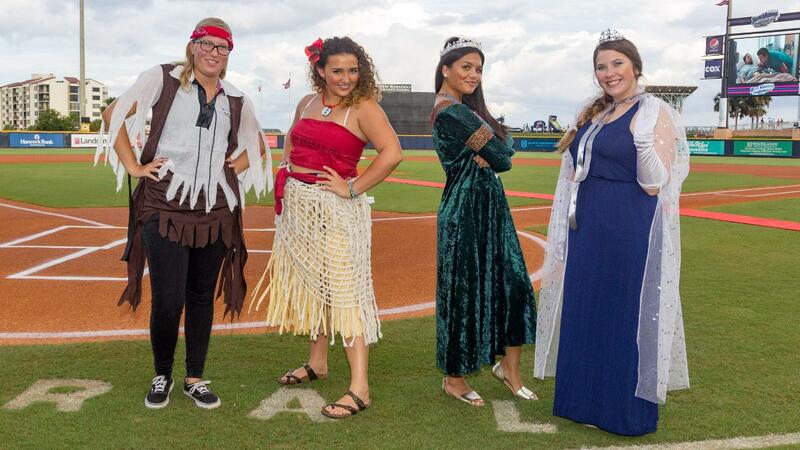 PENSACOLA, Fla., - Wahooloween at Blue Wahoos Stadium, a new tradition beginning this year on October 28th, will benefit Chain Reaction, a non-profit organization, which is a teen leadership institute. Chain Reaction is a teen leadership institute with a character education program that uses volunteerism as a teaching tool. They are focused on helping teens become all they can be and learning life's lessons through volunteering. About the Studer Family of Companies: The Studer Family of Companies is comprised of the Pensacola Blue Wahoos, the not-for-profit Studer Community Institute, Studer Properties, The Bodacious Family of Shops in both Pensacola and in Janesville, Wisc. and Bubba's Sweet Spot. All profits from the Studer Family of Companies are re-invested into job creation and funding early childhood education initiatives conducted by the Studer Community Institute including its plan to make Pensacola America's First Early Learning City.